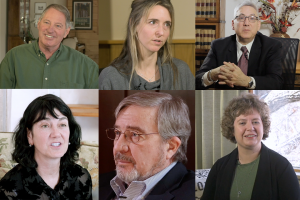 Candidates for Garfield County Commissioner District 1 stripped down their answers regarding the anticipated strip mine expansion proposal near Glenwood Springs before a group of area Realtors Wednesday. 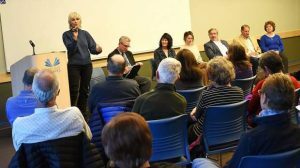 At a forum hosted by the Glenwood Springs Association of Realtors (GSAR) Government Affairs Committee, Republican incumbent Commissioner Tom Jankovsky and Democratic challenger Paula Stepp both said they could not support the plans. 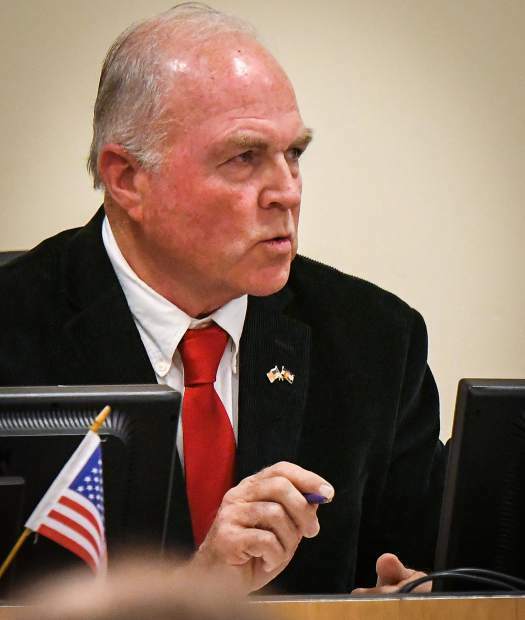 After weeks of guarded comments on the expected Rocky Mountain Resources application with the BLM and local government entities, including the county, to expand the limestone quarry north of Glenwood, neither candidate tiptoed around the question at the Wednesday debate. “I’m not going to be careful today. 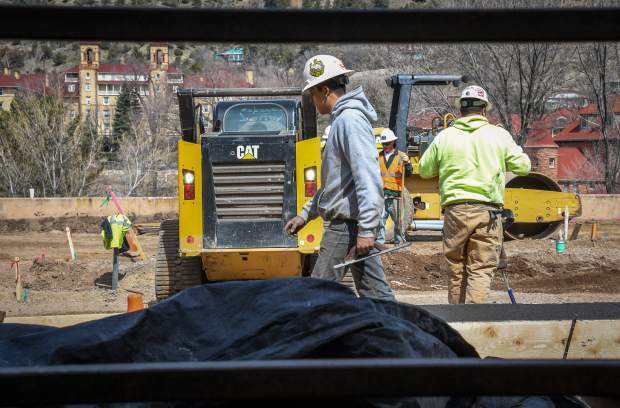 I am just going to come out and say, I’m opposed to the limestone quarry and I wish it would be up, outside of Glenwood Springs,” Jankovsky stated. “The reason I’m opposed to that is because we have a tourism industry that’s been here for 125 years, and to take a quarry that is on 13 acres, has 20 truck trips a day to a quarry that would go up to 250 to 350 acres and would have 350 truck trips a day, and would be hauling limestone down to a railroad loading yard in Glenwood Springs, does not work with that tourism economy and it does not work with the neighborhoods that are up there,” Jankovsky said. Stepp did not pull any punches either. 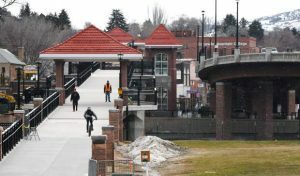 “We have spent millions on marketing this town, in this area, both for our tourism economy, for our outdoor recreation, and this would be detrimental toward it,” she said. “Not only that, if it’s detrimental to that market it’s detrimental toward our real estate market,” she said of the potential consequences for those gathered to hear the candidates. Rocky Mountain Resources (RMR), a natural resource acquisition and development company with offices in Los Angeles and Denver, acquired the strip mine in October 2016 and, as previously reported, now has its eye on expanding the excavation site substantially. Before Wednesday, however, both Jankovsky and Stepp were cautious with their comments regarding the quarry, due to concerns about taking any positions should the proposal come before the commissioners in a formal manner in the future. In response to the same question, Jankovsky, the longtime former general manager at Sunlight Mountain Resort, noted that he has worked in the tourism industry for over 30 years. “I would not do anything that would hurt tourism or an economy that has been here for 125 years,” he said at that time. The more direct tone this time around begged the question of whether the candidates became privy to any new information about RMR’s intentions. 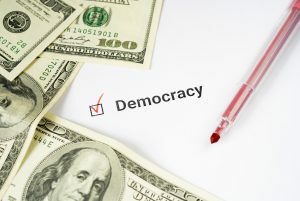 Both candidates told the Post Independent following the Realtors’ forum, however, that was not the case, and that no new details other than what had been previously reported were known. A voice message left with the BLM regarding whether or not any new developments had emerged from RMR regarding the quarry was not returned. Area BLM spokesman David Boyd told the Post Independent in early October that there was no new information regarding the quarry plans at that time.